Such Wi-Fi issue is also encountered by some owners of the Samsung Galaxy S3 and the Galaxy S4 smartphones, in which the network is disabled due to slow connection. What must be done when you encountered an error message saying, "Network disabled because Internet connection is slow?" in Samsung Galaxy Note 3? The error prompts when connecting to WiFi after using Data connection in the device. What causes such error to occur? Similar to other Samsung smartphones, the Galaxy S3, Galaxy S4 and Galaxy Note 3 have connection feature called "Auto Network Switch," which is thought to cause the "Network disabled because Internet connection is slow" error to occur on the device. 1. 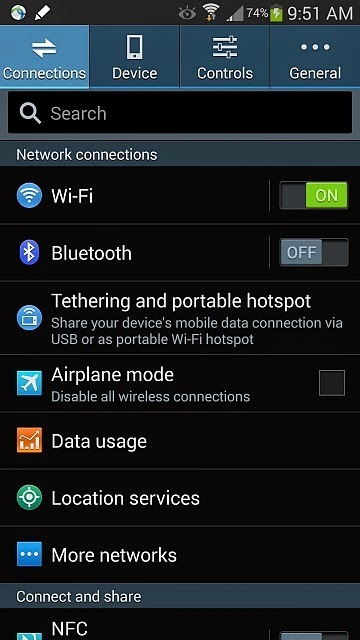 Go to WiFi Settings on your device. 2. Tap on the Menu key to continue. 3. Choose Advanced option and then scroll down to the Auto network switch option. 4. Remove the check from the box next to Auto network switch. Simply tap on the box to un-check it. 5. Try to connect to a WiFi again. You should now be able to connect your WiFi network without seeing the error prompt on your device. To prevent and/or fix this problem, you will have to disable or turn off the "Auto Network Switch" setting. Doing so will likewise allow you to connect to the card.